Free soupe, tea and coffee!! Liv Kristin Holmberg, Vivian Chinasa Ezugha, Yingmei Duan and Alexandra Zierle & Paul Carter. Kevin Meehan, Kimberley Warder, Larysa Bauge, Leonela Helm, Lovisa Adlersfeld, Tia Yoon & Vidmante Cerniauskaite. Read more about the artists here! We will show a slide show by festival photographer Kobie Nel (ZA/NO) and three video programs which explore the various ways artists document and use video in their performance work. Curated by Lykourgos Porfyris (GR/NO), TrAP Transnational Arts Production (NO) and Small Projects (NO). 4 til 13 November: Performance Art Studies PAS#50 'Roots in Motion' with Johannes Deimling at KHIO - Oslo Art Academy. In our approach to PAO Festival 2016 we have been inspired by Nicolas Bourriaud’s book “The Radicant” where we seek to investigate the artist as nomad, wanderer, refugee, migrant, expatriate, visitor and traveller. The invited artists are all connected to numerous places and cultures through their artistic praxis and life-story. - Radicant: Plant forms such as ivy and strawberry that grow multiple roots, advancing in all directions, which can adapt and grow in a variety of soils. We live in a world of change, turmoil and movement. Artists have a certain adaptability to connect with cultures and cross-pollinate to create new cultures, to set down multiple and adaptable roots. Artists have always moved and been mobile, sometimes because of a want to be with other artists, or because of a need to flee due to political turmoil. As a group we live and work on the fringe of society, both physically and mentally. From this vantage point we often have a viewpoint to observe where a society is steering, and can pick up on the changes by connecting the dots, and comment on these changes visually in our art. One aspect of Nicolas Bourriaud’s book of 2009, “The Radicant” is the role of the artist in contemporary globalized society in which many individuals are no longer anchored to one national identity or home. Migration, online communication and easier international travel have created the rise of the immigrant, the exile, the tourist and the urban wanderer as figures in contemporary culture. Bourriaud likens such figures as radicants- plant forms such as ivy that grows from multiple roots, advancing in all directions and are adaptable in growing in a variety of soils. For the artist, this enables a flexibility and fluidity in constructing identity- the original roots can be rejected, mythologized or selectively edited, whilst new environments can stimulate a myriad of influences and tools for adaptation. However, is it possible for individuals to ever free themselves from their original roots? On the other hand, with increasing, unending movement could individuals also end up with no vital relationship to any place? And how does that affect art and artists? For performance artists, these developments are highly relevant as the radicant artist must often shift from traditional object based and studio produced works to non-material art forms such as performance. The emphasis on presence and temporality in performance art also entails that performance artists must constantly travel in order to work. Therefore, the waiting lounge and moving train or airplane has become in many ways the new studio, with constant travel becoming a normal state of being- a radicant home. 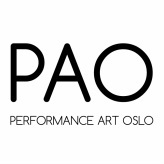 PAO Festival 2016 is supported by Fritt Ord, Norsk Kulturråd, Oslo Kommune / Kulturetaten and Kulturkontakt Nord / Mobility Programme.